Theme: The family experiences of Jacob and Esau with their parents, Isaac and Rebekah, offer profound insights for contemporary parents. Presentation Notes: The notes presented in this section do not constitute a prepared sermon script. 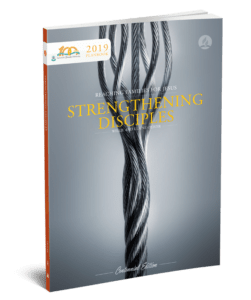 The following helps are designed to offer a framework, supportive resources, and illustrations toward the development of a sermon or sermons on the stated theme. You will want to shape these ideas in your own style, drawing upon your own study and experience to meet the particular needs of your congregation. Throughout the following text, numbers in parentheses (1), (2), (3) will indicate illustrations, quotations and other material found in the Sermon Illumination section that may be helpful in your sermon development and delivery. Interviews with children often yield amazing, humorous, sometimes even shocking, insights. They are unashamedly candid. What if the subject of the interview was our parenting of them? What if our sons and daughters could be given voices and language to describe their feelings and experiences in our homes with us as their parents? What do you think we would hear them say? Today we want to visit the ancient home of Isaac and Rebekah and discover what the Old Testament twins, Jacob and Esau, might share with us from their experience growing up in that home. To be sure, Jacob and Esau were no longer small children or even teenagers at the time of the well-known birthright episodes of the stew (Gen. 25:29-34) and the deception (Gen. 27). They were by this time some 75 years old. Esau had married two wives outside the family faith. Jacob was single. However, the responses which the twins exhibit and the interaction of the parents with each other and with the twins in these episodes reveal behavior patterns which have their roots decades before. Rebekah was a distant cousin of Isaac. She was the daughter of Bethuel, a first cousin to Isaac. From what is written of her responses to Eliezer when he came to her home in Haran, she was confident, self-assured, assertive and rather adventurous. She was evidently spiritually sensitive and trusting. Did she hear the call of God in the voice of Eliezer? It seems that she did. Of her future mate, she knew only that he was part of her extended family along with whatever else Eliezer had reported. She was capable of making decisions for herself, even far-reaching decisions, as she did when she responded readily to the emissary’s request that she go with him as a bride for Isaac (Gen. 24:58). As far as is known, she never visited her homeland or her relatives again. Of their wedding, the scripture records, “Isaac brought her into the tent of his mother Sarah, and he married Rebekah. So she became his wife, and he loved her; and Isaac was comforted after his mother’s death” (Gen. 24:68). Perhaps Rebekah filled a void in Isaac’s life left over from the death of his mother Sarah for whom he had grieved three years. At any rate, it is said of this couple as of no other in Scripture, “he loved her . . . .” This reference to a couple’s love is unique in the biblical record-not that other couples did not love, but that it is explicitly stated in the case of Isaac and Rebekah. For a time, the couple suffered the agony of infertility. Like many such couples, they prayed earnestly for children. Sometimes, the desired answers to our prayers do not come. In Rebekah’s case, she conceived (Gen. 25:21). It was not an easy pregnancy. She experienced such discomfort that she prayed about her condition. The nature of the discomfort was made known to her-she was carrying twins! Their struggle for place within her womb was symbolic of their future struggle as two peoples. Then God said something that she was never to forget: “The older will serve the younger” (Gen. 25:23). At her delivery, Esau was born first; Jacob second. If Esau and Jacob could talk to us, they might well draw attention to the problems in their family that gradually developed as Isaac loved Esau and Rebekah loved Jacob (Gen. 25:28). Favoritism may begin when a parent finds in one child that which is a particular delight. You notice that the two of you “hit it off.” You talk together easily; you tend to bond more readily. Sometimes favorites are very much like us. Interestingly, Esau and Isaac were as different in temperament type as were Isaac and Rebekah. Each parent was drawn to a type opposite-Esau, the carefree, adventurous one, was loved by the more reflective, passive Isaac; Jacob, the quiet, domesticated son, treasured the closeness of his relationship with his outgoing mother and was loved by her. Favoritism shown by parents sets siblings in unnecessary opposition to one another. Eventually, in the case of Isaac and Rebekah, this favoritism resulted in the creation of a fault line in the family. When conflict escalated in the husband-wife relationship, the favoritism resulted in two parent-child alliances pitted against each other. Later, Jacob and Esau were able to bridge the gulf that had come between them, but sadly only when their mother was no longer living and their father’s influence in the family had waned through old age. Esau and Jacob would probably tell us that it is important to build relationships with all your children. Be sensitive to their differing needs, but treat them fairly as equals. Take the steps necessary to form relationships with each child, however challenging it may be to relate to their particular temperament and personality. All families have strengths and all families have struggles. Threads of both can be clearly seen woven through the tapestry of any family’s history. Some families pass on a legacy of strengths. Sometimes character flaws flow across generations, such as abuse and violence, cheating, or promiscuity. In the family tapestry of Abraham, the lineage of Isaac, a common thread-deception-turns up again and again. It was Father Abraham himself who twice got his whole family in trouble, once in Egypt and once in Canaan, because he told officials that Sarah was his sister, fearing they would kill him to get her (Gen. 12:11-20; 20:1-13). Like father, like son, Isaac fabricated the same story about his wife, Rebekah, in the same Philistine court (Gen. 26:7-10)! This thread of deception is evident also in the family of Nahor (Abraham’s brother), the lineage of Rebekah. Laban (Rebekah’s brother) eventually deceived Jacob on his wedding day, giving him Leah instead of Rachel, the intended bride (Gen. 29:23-24). Rachel would later steal the religious figurines from her childhood home, hide them under her skirts and lie to her father about them, “Don’t be angry, my lord, that I cannot stand up in your presence; I’m having my period” (Gen. 31:35). Israel had a familiar proverb, “The fathers eat sour grapes, and the children’s teeth are set on edge” (Eze. 18:2). This saying verified the reality of the second commandment: the legacy of sin in a family is passed on to the children. As the proverb was commonly applied, it led to the blaming of parents for ones situation and avoidance of personal responsibility. In Ezekiel 18, God introduces a radically different scenario, telling the Israelites they were not to quote this proverb any more. Each person must stand responsible before God for his or her own actions. It is not appropriate to simply blame our parents for our character flaws. As adults, we must make our own choices and take responsibility for our own actions (Eze. 18:20). This passage also conveys the hopeful truth that people can change, despite the mistakes, abuses, and poor judgments of their parents, and the character flaws that run in their families. Every parent has the opportunity to become a transitional person in their family lineage, to choose to dam up the poisons of the past within themselves, so that the water can flow clearer to the next generation. We hear Jacob and Esau pleading with parents to change the family legacy, to stop the spread of whatever toxic water flows in the family. If the poison is deception, then dam up that flow that has seeped into the family across the generations and deal openly and honestly with each other as parents and with your children. As the relationship with each favorite son deepened, the marital partners slowly gravitated away from each other. Each began to find personal meaning in their favored child. Isaac’s rather lackluster life was brightened by the exploits of Esau and his palate satiated by his wild game. Esau grew up undisciplined, disrespectful, and disdainful of his inheritance. Isaac evidently never even so much as expressed displeasure over his marriage to the Canaanite women (see Gen. 28:8). For her part, Rebekah apparently needed for Jacob to be dependent on her. However old he was, she would take care of him. She would not be denied; she would make him into the leader of the family. Both parents undoubtedly felt they were being parental in their determination that their special son should have the birthright prize. Isaac expected to convey it according to custom-to Esau as the elder son. Rebekah believed it was divinely appointed for Jacob because of a revelation entrusted especially to her and because the irresponsible older son had already disdained his birthright prerogative by cavalierly bartering it away to Jacob for a bowl of stew (Gen. 25:34). In reality, the parents were self-focused rather than child-focused. Many parents mistakenly believe that their children exist to serve their needs. The opposite is the case. (2) Many families take the command, “Honor your father and mother” to be a lifelong precept that locks their children into placing parental needs foremost. Were they able to verbalize it, Esau and Jacob would likely have urged their parents to seek adult support for themselves and offer parental support to them appropriate to their age. The counsel of Paul applies to parenting also, “Each of you should look not only to your own interests, but also to the interests of others” (Phil. 2:4). Too many parents over-function in the lives of their children when children, especially young adult and adult children, need the freedom to live lives of their own. Too many others seek to meet their adult needs for nurture and love through inappropriate alliances with their children. Conflict in the marriage was evident between Rebekah and Isaac, stemming perhaps from their differences. She was assertive and outgoing, while Isaac was more passive, quiet and reflective. Isaac was an only child, born late in life, the subject of much attention and care. Rebekah was a sibling born into quite different circumstances. They had differing perspectives on life. Clearly the matter of the birthright and who should receive it festered between them. They did not talk to each other about it. Isaac, on the pretext that he was about to die (though he lived at least another sixty years), schemed and moved quietly to convey the birthright blessing on Esau (Gen. 27:2). The family was not invited to this special occasion. Rebekah was not even notified. She was eavesdropping and “overheard” the conversation between Isaac and Esau (Gen. 27:5, 6). The couple were non-communicative and locked in a power struggle. Isaac’s unilateral move triggered a countermove by Rebekah. Jacob at first offered a feeble resistance, then he capitulated to Rebekah’s scheme of deception. This tragic episode resulted in further distress and emotional upheaval in the home. Waves of anger and anxiety washed over the family. Stemming from the turmoil, Jacob left the country and was cut off from his family for many years. He never saw his mother again. One of the most important pieces of counsel to come from this story is that fathers and mothers should do everything they can to strengthen their relationship with each other and to deal directly with each other in resolving their conflicts and differences. The Matthew 18:15 instruction for resolving conflict eliminates triangulation: “Go and tell him his fault between you and him alone.” God knows the human tendency to form emotional triangles, where two who are in conflict draw a third individual into the fray. He is aware of the pain and stress borne by the individual who gets trapped in the middle of conflict between two others, who may be both his relatives or friends. God would have us learn to communicate and to take responsibility for resolving our conflicts with one another directly, to avoid drawing others into them unnecessarily. This will leave our family relationships stronger. This episode has been left as instruction for us by a caring Heavenly Parent in His Word. “For everything that was written in the past was written to teach us, so that through endurance and the encouragement of the Scriptures we might have hope” (Rom. 15:4). With the vantage point of history, we can see that God did not abandon this family, despite the difficulties. He was with them through all the turmoil. His covenant love and faithfulness abides and His purposes come to pass. Like the patriarchs of old, we too can put our trust in Him. One (1): “In ancient times marriage engagements were generally made by the parents, and this was the custom among those who worshiped God. None were required to marry those whom they could not love; but in the bestowal of their affections the youth were guided by the judgment of their experienced, God-fearing parents. It was regarded as a dishonor to parents, and even a crime, to pursue a course contrary to this. “Isaac, trusting to his father’s wisdom and affection, was satisfied to commit the matter to him, believing also that God Himself would direct in the choice made” ( Patriarchs and Prophets , p. 171). Two (2): “Parents exist to serve their children, not children to serve their parents. It is a fundamental law of life that the older generation must be willing to sacrifice its interests to those of the younger generation” (Mace, 1985, p. 25). Three (3): “Mutual affection between husband and wife will be to the family what the heating system is to a house. It will maintain the relationship of all family members in a pleasant and comfortable atmosphere” (Mace, 1985, p. 109). Four (4): A couple wondered why her primary and junior-aged sons fought when their father came home from work, when the rest of the time they seemed well-mannered. A pattern of family behavior seemed to be displayed at each fighting episode: (1) mother and father, upon confronting each other when father comes home, begin quarreling; (2) the children start fighting with each other; (3) the boys’ behavior upsets and angers dad who administers harsh discipline; (4) an angry silence settles over the household; (5) mother and dad cease quarreling and go about doing separate household tasks. The couple were able to see that their marital conflict precipitated the children’s response. Intentional improvement in the parents’ relationship that was visible to the sons was encouraged, with the thought that this would likely lead to improved behavior on the children’s part. The need to enact a scenario that would result in mother and father stopping their quarreling would be reduced. Five (5): “When temptations assail you, when care, perplexity, and darkness seem to surround your soul, look to the place where you last saw the light. Rest in Christ’s love and under His protecting care. When sin struggles for the mastery in the heart, when guilt oppresses the soul and burdens the conscience, when unbelief clouds the mind, remember that Christ’s grace is sufficient to subdue sin and banish the darkness. Entering into communion with the Savior, we enter the region of peace” (Ministry of Healing, p. 249). Mace, D. & V. (1985). In the presence of God: Readings for Christian marriage . Philadelphia: The Westminster Press. Steinke, P. L. (1993). How your church family works: Understanding congregations as emotional systems . Bethesda, MD: The Alban Institute. White, E. G. (1958). Patriarchs and prophets . Nampa, ID: Pacific Press Publishing Association.